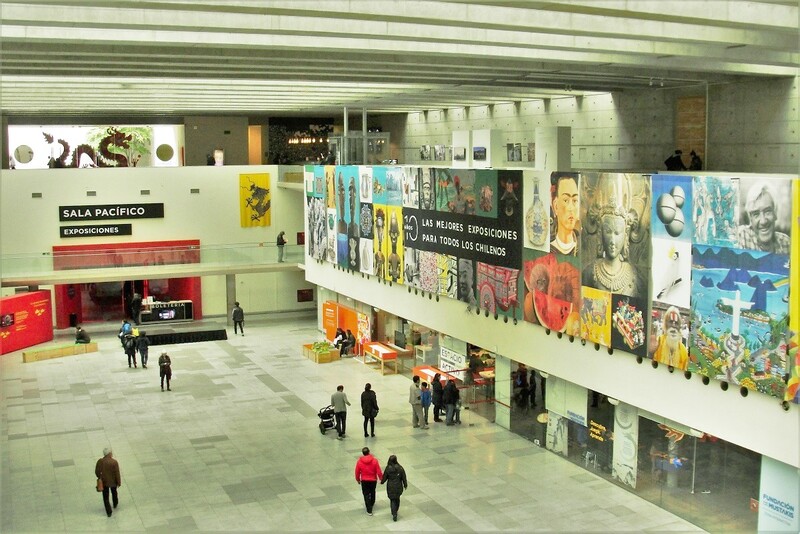 This cultural centre was a project especially thought up for Chile’s bicentenary and was opened on the 26th of August 2006 by then president Ricardo Lagos. The idea was to create a home for different artistic media and to preserve and promote Chile’s visual and audiovisual heritage by means of exhibitions and other events. It is located below the Plaza de la Ciudadanía on the north side of Alameda Bernardo O’Higgins. It covers more than 7200 square metres over 3 underground levels which receive natural light reflected by the large pools outside. There is a permanent exhibition about rural traditions. At the time of writing there is a photography exhibition called "Testigo del fin del mundo". It has more than 50 images and a documentary about the Selk’nam and the Yagán peoples. Soon there will also be an exhibition of both national and international design in the Design Gallery.